Union Minister Prakash Javadekar on Thursday said Prime Minister Narendra Modi has given free hands to forces to give befitting reply to terrorists. "Armed forces had asked to take action after 26/11 terrorist attack in Mumbai but the then UPA prime minister did not give permission. However, Prime Minister Narendra Modi gave free hand to forces to give a befitting reply to terrorists,"Javadekar said at a party meeting here. After the Pulwama incident, in which 40 CRPF personnel were killed, the Indian Air Force (IAF) had carried out air strikes on terror camps in Pakistan. He said similarly scientists of the country were ready way long back to conduct nuclear tests but the then prime ministers did not give permission. Later, Nuclear tests were done in 1999 under the farsighted leadership of then Prime Minister Atal Bihari Vajpayee. 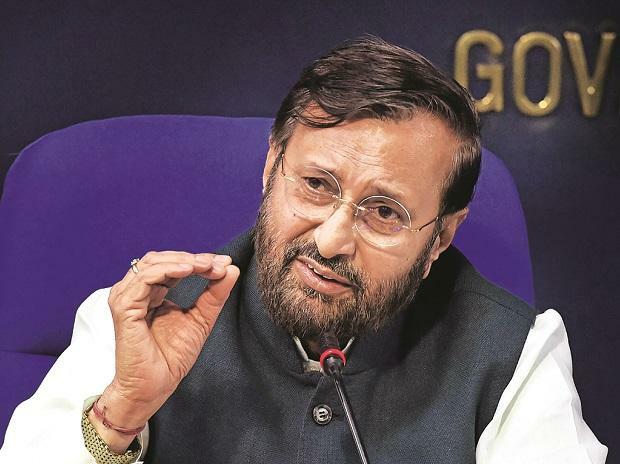 Javadekar, who is also party's state election incharge, highlighted major decisions taken by the Centre, including ordinance on 200 point roster for jobs in universities, medical facility for jawans of short service commission and those taking pre-mature retirement and their family members.